Tempe is the northernmost community of Phoenix’s Southeast Valley and stands as the gateway from the Southeast Valley’s defining suburban atmosphere to Northern Phoenix’s business focus. Tempe’s crowning characteristic would have to be Arizona State University. Stationed right in the center of Tempe, ASU sets much of Tempe’s tone with a distinctively younger atmosphere that neighboring communities such as Chandler and Gilbert. As you might guess, the neighborhoods surrounding ASU get hit with the heaviest college-town vibe. For those moving to Tempe that are not going to study as Sun Devils, be warned: ASU has the largest enrollment of all public universities in the country at 50,000+. Although older residents will say that there are plenty of areas of Tempe that is not just made up of students, the Sun Devils are a force to be reckoned with. For students moving to Tempe for school, you’re lucky to be moving to a city with overall cheap apartment rents. There’s a good mix of apartments for rent and houses for rent right within ASU’s immediate neighborhoods that will make getting to school easy and weekends, very social. If you have the option, definitely go for Tempe’s utilities included apartments because the electricity bills will rack up quickly during the summer. Although small, Tempe offers a good mix of local amenities to keep you having fun. For example, during those hot summers, tubing in the Salt River is basically a necessity. Also, with pet-friendly trails alongside the river at Tempe Beach Park, that river access is gold if you are a dog owner. Meanwhile, across the river is where you’ll find the Phoenix Zoo and the Rolling Hills Golf Course. There’s always Downtown Tempe and all of its restaurants, retailers, and coffee shops (like Cartel Coffee Lab which is ideal for studying) for lazy days of meandering. 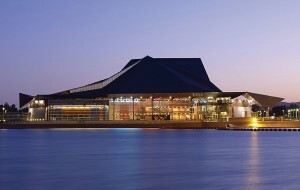 If you are looking for something unique, the Tempe Center for the Arts will fill your fancy with its many events, exhibits and performances that range from weekly open mic nights, comedy shows, and much more. If northern Tempe is where you’ll find the majority of students, it is south Tempe where you will find an older population. Living in Tempe is generally a great place for commuters working in Downtown Phoenix, the High Tech Loop, or Scottsdale, so there’s a good number of focused, professionals in the area. There’s also a number of apartment options available such as studio apartments, townhouses and luxury apartments along E. Baseline Road which puts residents close to Highway 60. If you are looking for one of the finer apartment communities with high ratings and reviews, try using a trusted apartment guide to find apartments for rent near me, like RentLingo, instead of Craigslist to ensure you’re seeing real listings, with accurate info. Have a question or two about apartment renting? Browse through RentLingo’s Renters Resources to learn about how much you should spend on rent, how to get out of a lease, questions to ask when apartment hunting, or the difference between a condo and apartment. RentLingo is your trusted apartment finder in Tempe. We hire local experts, such as former property managers and locators to anonymously tour and consistently rate and review every available place. They share their honest and unbiased perspective with you, so you know how every rental ranks in the area. Because our experts tour every property, we can offer consistent apartment ratings across every region. So unlike finding a Backpage or Craigslist rental, you can trust these apartments are verified and trustworthy: whether it's a cheap studio or a one bedroom with all utilities paid all the way up to a nice house for rent or a luxury condo.